London: It was double delight for India as it swept the Wisden Cricketers' Almanack Wednesday with Virat Kohli and Smriti Mandhana clinching the 'Leading Cricketer of Year' honours, continuing their award-winning spree. Kohli and Mandhana had won big in the last ICC Awards night too. Mandhana was adjudged 'Women's Cricketer of the Year' as well as the 'Women's ODI Player of the Year' by the ICC in December, while the talismanic Kohli won the Cricketer of the Year award besides finishing as the top batsman in Tests. 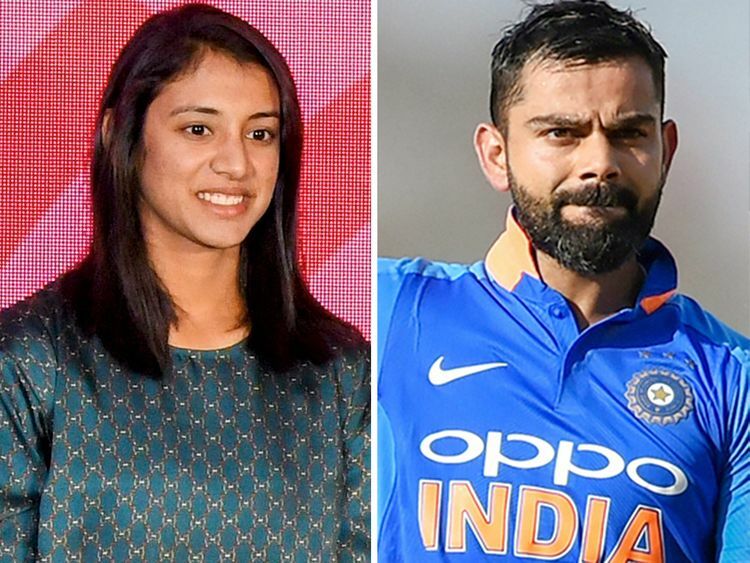 The Indian men’s team captain was named as the Leading Cricketer in the World for an unprecedented third year in a row by the 2019 edition of Wisden Cricketers' Almanack while this Mandhana's first award.